A retired Budget Analyst for the Commission on Human Rights, Montgomery County Maryland. She served on numerous Boards and Commissions, that helped, shape the laws and policies of Montgomery County Maryland. As an administrator for the government she was appointed to several boards,councils and committees at the state, local and national level. These positions were appointed by the Montgomery County Executive and approved by the County Council. Mrs. Williams had the pleasure of serving on the Wellness Council, Diversity Council, Martin Luther King Jr. Commemorative Council, MLK Scholarship Committee, National Association of Civil Rights Workers and the National Forum for Black Public Administrators just to name a few. Currently she holds several volunteer positions with the Mothers of Professional Basketball Players, Inc as the Western Regional Secretary, the National Website Coordinator and the National Director of the 100 H.U.G.S Scholarship Fund. As the Executive Director of the JYD Project a non-profit in Henderson Nevada, she is very active in her local community and remains a true youth advocate and serves on the boards of several youth support organizations. 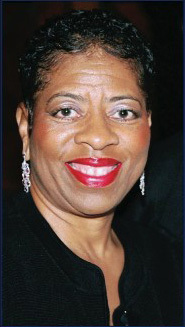 The wife of Johnnie Williams Jr., Retired Engineer (married 44 years), and mother of three very successful sons: Johnnie III, Author and Metaphoric Speaker; Jerome, Retired NBA Player and Business Executive; and Joshua, Basketball Coach, NBA Agent and Clark County Public School Teacher. She was born in South Carolina, the 4th of 12 children. Raised in Washington, D.C. attended a private Boarding School in Richmond, Virginia, than later studied at Montgomery College and the University of Maryland. With over sixteen (16) years of basketball experience within the NBA, NCAA, and Prep division high schools, Joshua brings a tremendous amount of experience to the JYD Project. Just being around the game for countless years, he has acquired an exurbanite amount of “off-the-court” basketball knowledge as well. Through working with the NBA Headquarters, Washington Wizards, and the Naismith Memorial Basketball Hall of Fame he has had hands on experience in how the game is produced, and how the product is ultimately packaged for millions of fans. One element of his life that he truly is passionate about is giving back to the community through the sport of basketball. He has worked with children for the past eight years and continues to help empower them anyway he can. The JYD Project partnered with Nevada State College Student Work Study Program. Through a 5-year MOU NSC will provide the Project with a student to perform administrative duties 16 hours per week. The Project was very fortunate to acquired Valeria McCloud through this program. She is a native of Detroit Michigan and is quite experienced with children. Her background as a Substitute Teacher, Tutor and Ex-Police Officer provides a perfect blend of skills to assist the many youths we serve. Mrs. Mc Cloud is currently a student at Nevada State College where is plans to achieve her BA in Psychology and Education in May 2014. She resides in Henderson, NV with her husband Alfedo and son Jason. Regina is a fulltime student working towards her Associates of Applied Science Degree for Mental Health Services at the College of Southern Nevada and American Business & Technology University training to become a Diabetes Lifestyle Coach. She plans to continue her education at the University of Nevada Las Vegas to obtain a degree in Journalism and Media Studies. With her first job as a teen mentor for a Coalition Center on the North Side of Uptown Chicago, IL, she learned the importance of giving back to her community. She’s held positions as a Behavioral Health Technician for youth in group homes as well as the Seriously Mentally Ill Adults in Phoenix, AZ. Acquiring a position at St. Jude’s Ranch for Children in Las Vega, NV as a Therapeutic Supervisor for teen mothers transitioning from juvenile detention into society would gain her respect for the non-profit spectrum. She than obtained employment as a Production Assistant for the Steve Harvey’s Neighborhood Awards for several years, and became the Basic Skills Trainer for at risk youth for Empowering 2 Excel. Currently Regina continues to volunteer for several Nevada non-profit agencies year-round. In addition to donating countless hours to the JYD Project she also works with Rosie’s Wish Organization CDC for children with Juvenile Diabetes, and Three Squares Food Bank Annual Summer Program on the fight against child hunger while strongly encouraging non-profit collaboration for a better America. A divorced mother of three children two sons and one daughter: Zurek Jr., Webpage Designer, & Model; Justin, Tattoo Artist; and Erynne inspiring Basketball Player & Community Leader. She is also a grandmother of one: Zurek III. Regina is the fifth of seven children, born and raised on the North Side of Chicago, IL. She graduated from Senn Academy High School & The Interamerica Institute for Micro Computers.